You should be thoroughly reading the labels on all processed foods you buy. If you don’t understand the nutrition panels on food and beverages, learn to read them intelligently. Learn how to read this on every food item you buy. Also, learn what you can and cannot have in your diet. Labeling can be confusing, as a recent article I read points out. Labels often carry exaggerated claims about a product’s healthiness or benefits it may or may not give you. Look past all that and concentrate on the nutrition panels. And get a conversion app for your phone that can translate grams into weights you can understand. 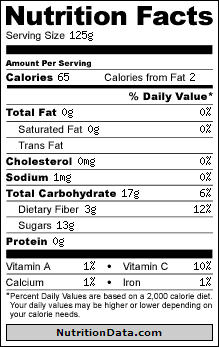 U.S. nutrition labels list portion size in grams, who exactly measures that way other than high school science lab students? “Shoppers’ top healthy eating strategy involves avoiding food viewed as unhealthy, rather than actively seeking out healthy food items. Consumers report achieving healthy eating by switching to healthier snacks (56 percent), avoiding junk food (62 percent), making conscious efforts not to consume too many calories at once (52 percent), and preparing healthy recipes at home (59 percent),” the article states. Good tips all, especially preparing more of your own foods to control salt, fat and sugar content.